Scroll over these common international tax planning questions to see the answers. Who manages tax on my international investments? If you are living and working abroad for longer than six months, you will liable for tax in your host country. Will I have to pay tax in the UK and the country I work in? The UK has double taxation arrangements with all EU countries and many others to ensure this is not the case. Will I still have to pay National Insurance contributions when working abroad? No, you won’t need to pay NI contributions. Will I still be eligible for tax credits in the UK? No, but Pryce Warner can assist you in taking advantage of any tax credit system in your host country. When will I need to submit a tax return? This will depend upon the requirements of your host country. In most EU countries the end of the tax year coincides with the end of the calendar year. One of our tax experts can advise you if your host country is outside the EU. Will I get a better tax rate if I open a new bank account in the country I move to? No, but it will prevent you from losing out on currency exchange fees during bank transfers. In which country will I pay my pension and the associated tax? 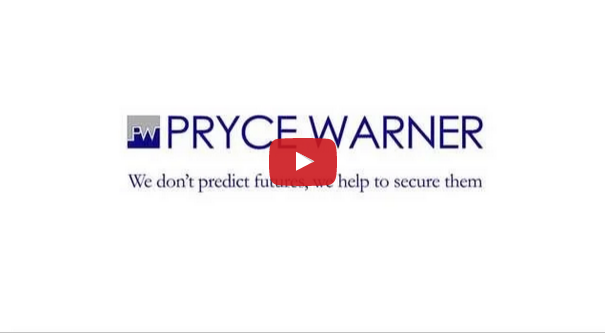 Why should I come to Pryce Warner for tax advice? In addition to tax planning solutions, we also offer investment services, estate planning, will writing and pension planning. All of these services tie in with tax planning, enabling us to give our clients a full asset management service under one roof. Logistically, this makes sense as you’ll receive coordinated advice across all areas. What are the benefits of international tax planning? For expats, tax affairs are complicated by dealing with more than one financial jurisdiction. With good advice, this can work out to your benefit but if you don’t plan, you could end up paying substantially more tax than you need to. As tax planning also affects your pension, the long term benefits are future financial security and confidence that your assets are protected and working for you. Without advice, you’re taking the risk of being audited or owing large sums of unpaid tax and even fines. Isn't tax planning highly complicated? Moving abroad presents you with a new set of tax procedures, so it pays to take advice. With guidance and support, you’ll find that it’s relatively straightforward. Furthermore, Pryce Warner has been helping clients all around the world for many years, so we have experience with most tax systems. We can ensure that you’re fully tax compliant with both your host and your home country. How does being an expat affect my international tax planning options? As an expat, you’ll need to pay income tax in the country in which you work, and you’ll lose the tax credits or breaks you had at home. We can advise you on any tax credits or breaks you’re entitled to in your new country. Who handles my international tax planning? If you consult Pryce Warner, your international tax planning will be handled by one of our expert tax advisors. How can I be sure that my financial and personal information will be handled securely? With 40 years’ experience, we understand the need for complete confidentiality when it comes to handling client information. Any information you disclose to us is held on a secure server and is only accessible to you and your advisor.